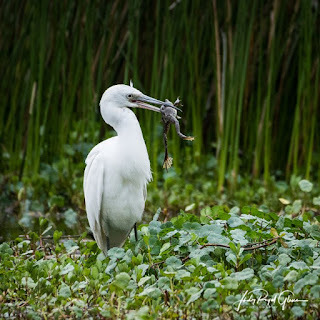 The frog was having a great day until he was spotted by this immature little blue heron and plucked from his habitat. This is the part that I hate about nature. Others may really like the shot—I am sensitive to death and hate that others have to die so they can live. My peony bloomed for the first time this year. My husband’s aunt had it in her front yard. She gave me the plant, and I planted it near my sidewalk to my front door. It will always remind me of her. 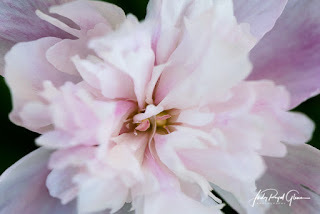 Do you have plants or flowers that were given to you that remind you of them? The St. Augustine Alligator Farm Zoological Park in Florida celebrated their 125th anniversary this year. Even though they have been around that long, I had my first visit last month. It was a truly amazing experience. 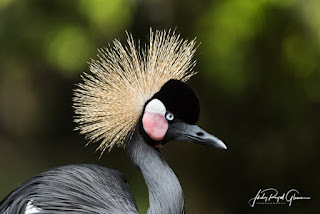 Their website states, “The Alligator Farm is now the only facility in the world exhibiting living species of all 24 currently recognized species of crocodilian.” I did not go there to photograph the alligators but the birds. 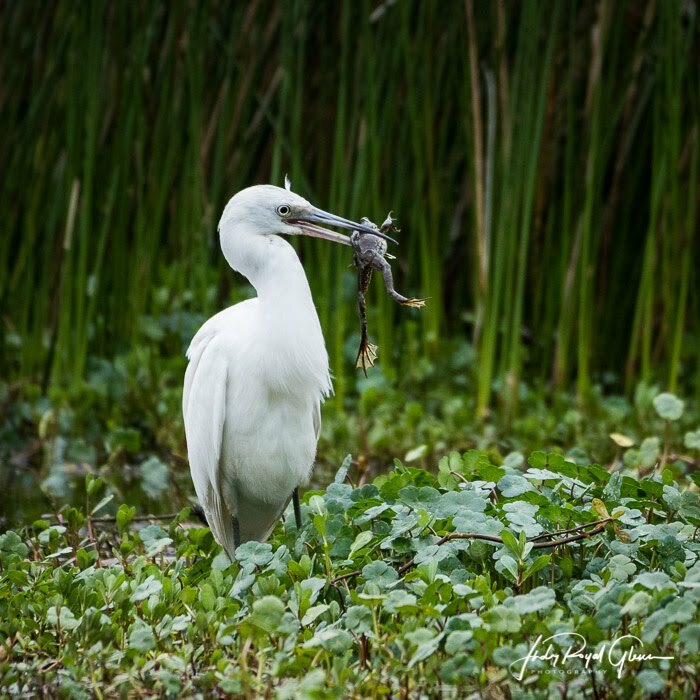 Their wading bird rookery hosts all sorts of birds such as spoonbills, egrets, blue heron, and other water birds. Before I left, I visited the birds of Africa. My favorite bird there was the West African Crowned Crane aka the Black crowned-crane. Can you tell why it was my favorite bird? Have you been there before? 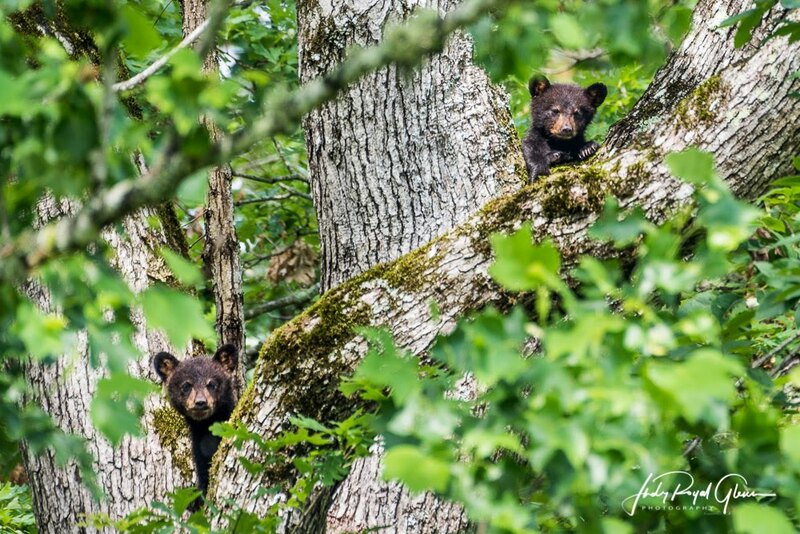 In celebration of Earth Day this week, I thought I would post a photo of my favorite subject to photograph on the earth— black bears! When I first spotted these cubs high in a tree, they were sound asleep. Even though they were asleep, they were causing quite a stir from the road below on Hyatt Lane. Everyone wanted to get a peek at these cute little cubs. A car alarm woke inadvertently woke them from their sweet dreams. A little while later, they scampered down and nursed as their mom lay at the base of the tree. Visiting the Aububon Swamp at the Magnolia Plantation and Gardens in Charleston, South Carolina is always a treat for me. The swamp boasts a massive 60-acres filled with all kinds of birds. My favorite part of visiting the swamp is watching the chicks of the great blue herons. The heron chicks are the first species to hatch when I am there. My YouTube video shows these two heron chicks were having a sparring rivalry while the mom stood unscathed. Yesterday, I shared this video on my Instagram and Facebook Photography pages because it was National Siblings Day. Please click here to visit my Instagram account, here to visit my Facebook Photography page, and here to visit my YouTube channel. 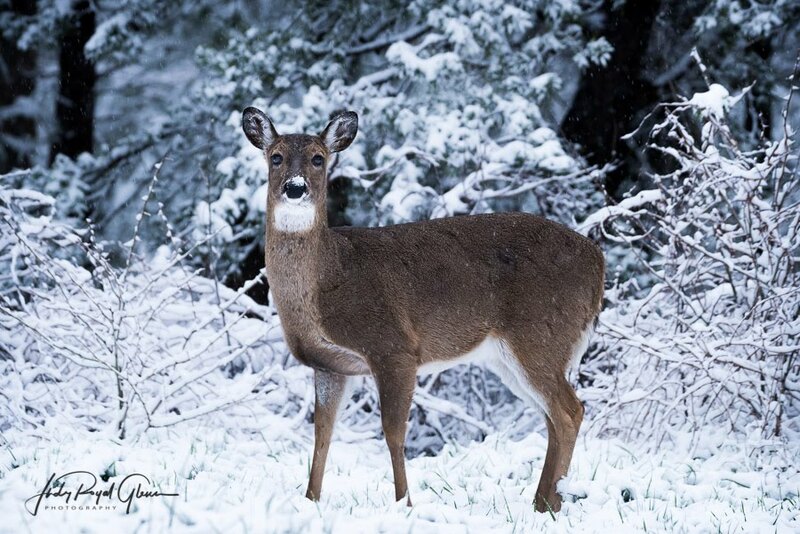 The first day of spring brought snow to Cades Cove, Tennessee, and it was magical! 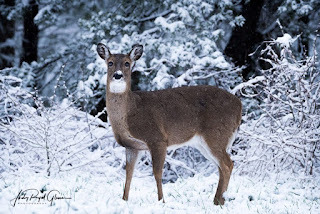 I enjoyed walking through the snow and finding critters the Lord brought to me. He brought many! To make it better, it snowed all day. Location: In the Great Smoky Mountains National Park.